" Chewbacca Miss Celebrity "
Here at Chewbacca Bull Terriers we are combining the very best Australian, American, Canadian and English Bloodlines. 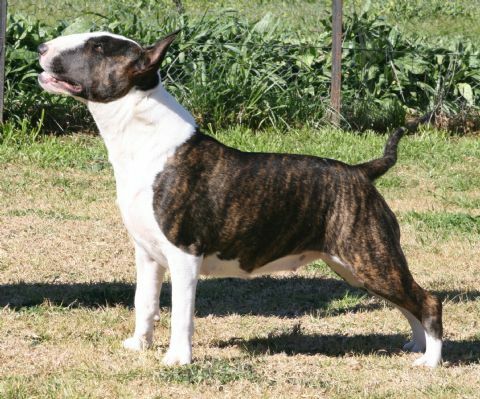 We are responsible bull terrier breeders, our dogs are health checked and raised in a loving home environment. We welcome genuine enquiries. Proud recipients of Dogs NSW recognition of 25 years continuous membership program. So, welcome and we hope you enjoy our site and our bullies, please don't forget to say G'Day and call back soon! may not be used without permission from Chewbacca Bull Terriers.